Do you know there is a runway in Cameron Highlands where planes can land and take off? Well, it not the usual airport for passenger airlines but a small airstrip for lightweight planes to do crop dusting or aerial topdressing. In Cameron Highlands, this short runway of about 400 metres is located in Habu (on Gunung Beluat), a small township which is 5 minutes away from Ringlet toward Tanah Rata. The runway is slightly shorter than the famous Lukla airport (Tenzing–Hillary Airport) in Nepal. This airstrip is in active service. BOH Plantations uses it for spraying fertiliser (not pesticide). During service, several bags of fertiliser are unloaded into the aircraft before it takes off for crop dusting. 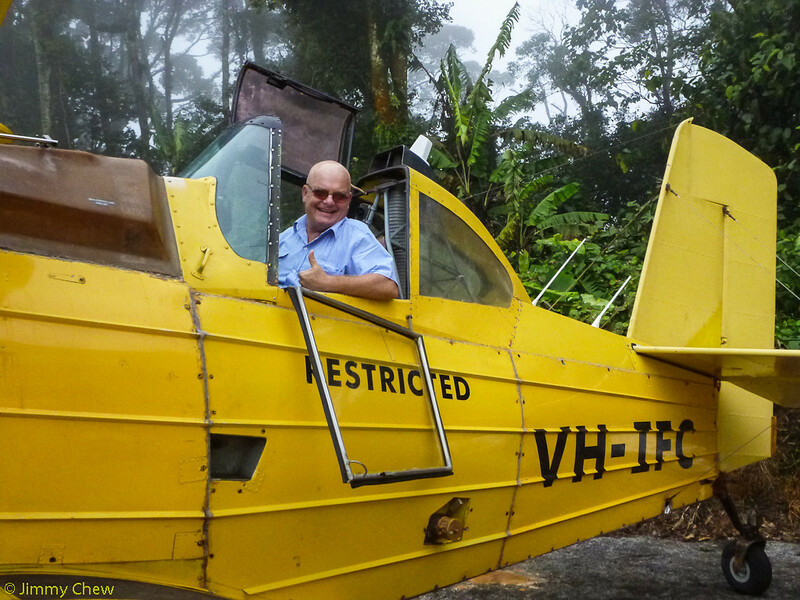 Many years back, we were able to walk up all the way to the airstrip and most of the time, nobody is there as the crop dusting service is conducted only a couple of times per year. This particular time, we were lucky as flying operation is halted due to weather. We walked up to end of the airstrip and managed to catch a conversation with the pilot who was waiting for the weather to clear. Now, this airstrip or runway is closed to public access.